The other week we gave you your first look at DC Comics's new design for their post-New 52, post-Convergence collections, starting with Detective Comics Vol. 6: Icarus. The design for Detective was definitely different and bold, but there was some question whether it was just because Detective had the new team of Francis Manapul and Brian Buccellato, or if it signaled a line-wide change. Courtesy a photo from artist Stephen Mooney of the Grayson Vol. 1: Agents of Spyral spine this morning, we have confirmation now that this looks like a line-wide change. 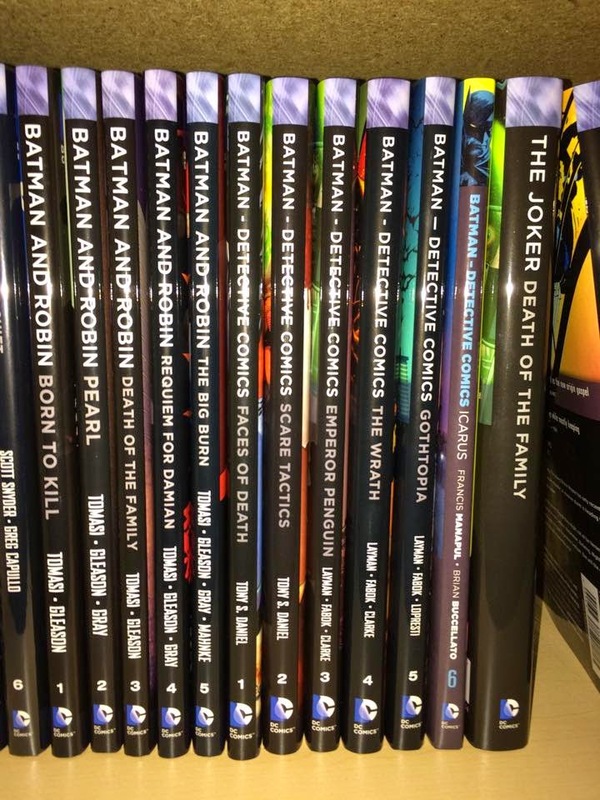 We'll have to see more volumes before we truly know how the designs will vary from book to book (especially different font colors), but it looks like this is what we can expect from the new era of DC Comics trades. Sound off in the comments section what you think of DC Comics's new trade dress or tweet about it using #newDCtradedress. I'm wondering if the gray-blue font is indicative of the 'family' that the book belongs to. I.e. 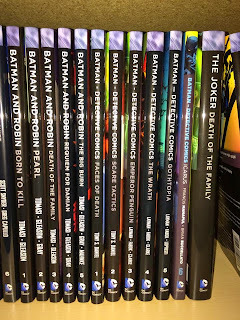 we know all Batman-Superman trades are marked with a gray-blue tab at the top (and Justice League titles are red, Dark titles are grey et cetera), so maybe the new font color takes over that. Very possibly. I thought (but could be wrong) that tab color ultimately didn't correspond to the New 52 "families," but it seemed people liked that idea, so maybe it'll be resurrected here. At the CBR forums, someone posted a picture of his latest buys, and the just-released Action Comics vol. 6 still has the same trade dress as the previous volumes. Maybe they'll only change it with the first post-Convergence volume. 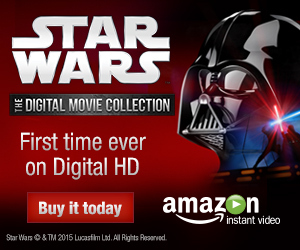 >> Maybe they'll only change it with the first post-Convergence volume. Which doesn't hold up, as you understand, for Grayson nor Batgirl nor Detective Vol. 6, all of which were pre-Convergence, but what you mean is exactly what I thought -- that the new trade dress goes on books whose teams are sticking around after Convergence, like those mentioned above, versus Action Comics, whose team is actually sticking around but Action Vol. 6: Superdoomed is hardly what one would call a jumping-on point, I don't think. And then we saw pictures of Batman and Robin Vol. 6: The Hunt for Robin, a book that ends pre-Convergence. And ... it has the new trade dress. Yeah, Patrick Gleason is writing and drawing a new Robin title, but Batman and Robin, following the earlier logic, should *less* have the new trade dress than Action Comics should, and Action doesn't. I'm watching how this plays out a little more and then there will be a post on it here in a couple weeks.